Welcome to Driftwood Estates! 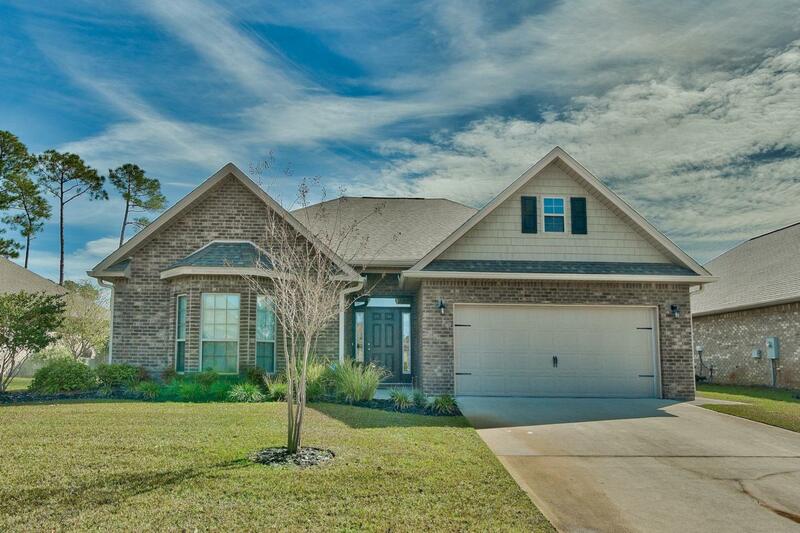 This stunning 3 bedroom, 2 bath home is centrally located in the heart of Santa Rosa Beach just minutes from shopping, dining and the beach! The moment you walk in the door it feels like home. 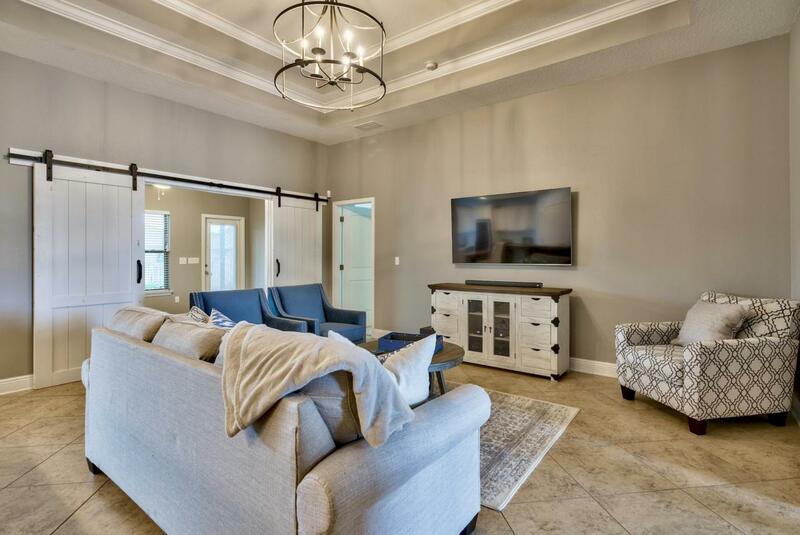 Welcomed by a gorgeous archway and open floor plan, this home features tile flooring throughout the common areas and carpet in the bedrooms. 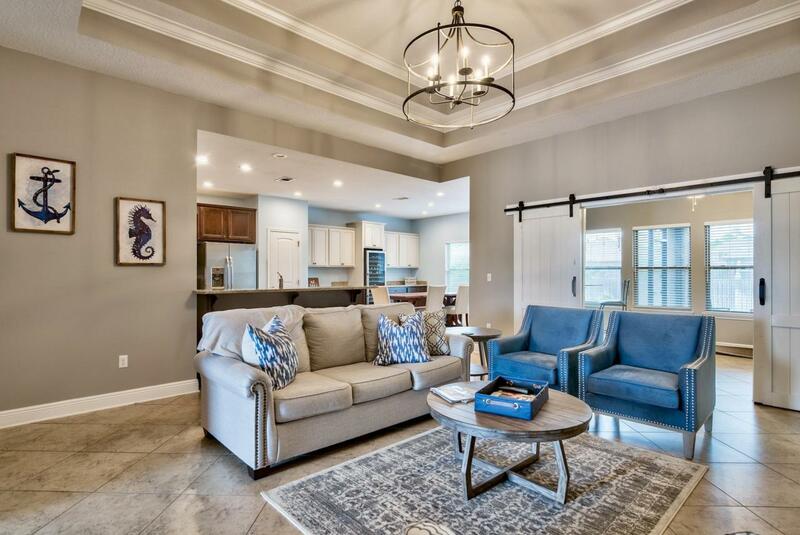 The triple tray ceilings in the living area give the perfect amount of character to the large open space that leads you into the large kitchen. The kitchen features rich cabinetry, stainless steel appliances and granite counter tops. The additional custom built-in cabinetry features a wine fridge in the dining area and allows for additional storage. The spacious master bedroom features tray ceilings, crown molding and tons ofnatural light. The master bath features double vanities, a beautiful separate tile shower and large soak tub located just below the window for a relaxing evening bubble bath. The oversized front guest bedroom features an amazing bay window and high ceilings that give plenty of natural light. The back guest bedroom is spacious and perfect for a little more privacy. The guest bath is centrally located and features a shower/tub combo and large vanity. Another incredible feature of this home is located just off the sunroom/office. The screened in porch is the perfect Florida getaway and just off the porch is the ultimate outdoor dining space. The brick paver patio allows for so many possibilities! It is the entertainers dream backyard and/or the ideal private oasis to escape after a long day. 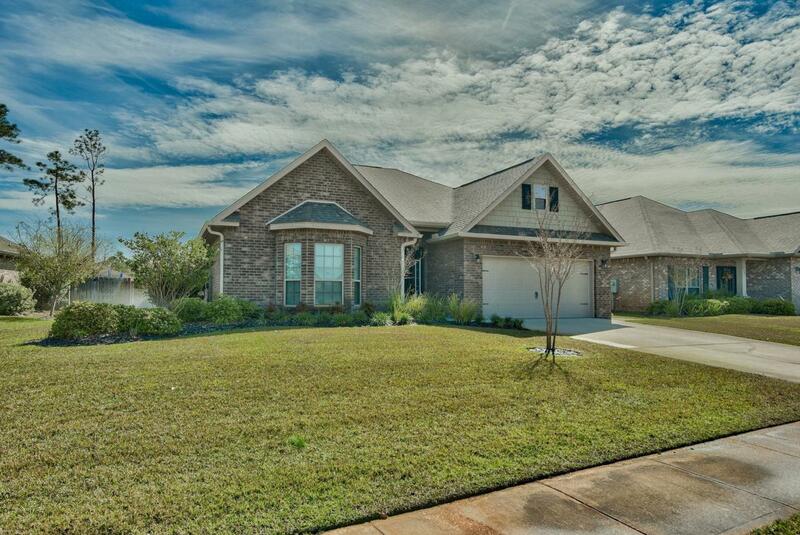 This home has been incredibly maintained and is ready for you to call home!